PROUD HINDU DHARMA: Who is pretha? Who is pisasa? Who is pithru? After death, we leave our body and becomes pretha (in Tamil we say ஆவி). We remain as pretha, till our son or some men, does 12days samskara (apara karma) for us. If 12 days samskara not done by son or anyone, we left with no option than roaming as pretha till someone do pinda dhanam for us, at the feet of lord narayana in gaya. If we commit suicide in any form, we will take the form of pisasa and roam around in earth. If someone do pinda dhanam at the feet of lord narayana in gaya, we leave this pisasa roopam and take pithru sareeram. After death, if the son do apara karma samskara for 12 days, we will leave the pretha sareera and achieve divine form of "pithru" sareeram and reach pithru logam. pithru logam is below swarga logam. Pithru devatha tracks our entry and keep track of our last birth and our relatives. Then we reach to yama loga to get reward or punishment of our past karma either in naraka loga, or to swarga loga. Yama dharma, is the king for all these souls in pretha form, pisasa form, pithru form. He guides them to naraka, swarga loga based on their deeds. 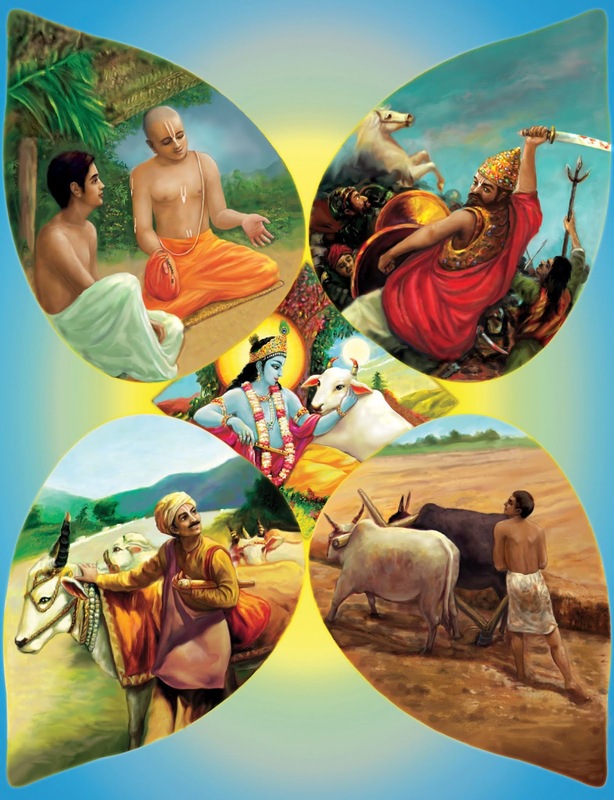 If no good or bad deeds committed, he request that soul to touch his head on their feet and request them to reach kaivalya or vaikunda or respective abode of god they worshipped. Yama logam is below our milky way galaxy. Simply we say, it is in south direction and sandhya vandana offers respect to Yama dharma thrice daily. It is given as prime duty for brahmins. Sandhya vandanam is a collection of mantras that give protection for human community. Brahmins do sandhya vandana not just for himself but for welfare of all people thrice a day. This sandhya vandanam includes a worship to yama Dharma towards south direction as well. Everyone those days lived for 100years easily because brahmins where doing their duty of worship thru sandhya vandana and getting the blessing of god for everyone for healthy, stress less life. Today's brahmin must introspect this beauty of sandhya vandana which gives long life, healthy life. Brahmins must relook themselves and start doing sandhya vandanam. Every year, the son has to do sraarththam on his father or mother death date as per our hindu calendar (thithi). The water, rice food that we give to the departed parents are taken in divine form by 3 demi gods - Vasu, rudhra, aditya (sun), and they take these to pithru loga. Pithru devatha look at the shraddha (dedication) of the son for his late parents. Devatha just smells the food given in the form mantra and blesses the son and relations for better life and happiness. Also pithru devatha blesses the parent soul who might have reborn in this world either as animal or human based on his karma. These blessing reaches to them as well even at next birth. These blessing can't be defined. We might have escaped from accident. We might have escaped from job loss. We might have become millionaire with no education or talent. These are called blessings. It can't be reasoned. These are past karma and pithru devatha or devas blessings. Pithru devatha are so merciful than devas. But at the same time, pithru devatha can bless and also curse as well. They don't expect our food given in shrardham. But they look at the dedication of the son whether he offers food for his late father or mother, in the form of veda mantra. Doing pinda pradhanam at gaya at lotus feet of lord narayana is the only option to stay away from curse of pithru devatha. It is a duty of son to do Shrardham every year to show his gratitude to his parents who gave him (soul) human body to do bhakthi on lord narayana in this world and attain moksha.